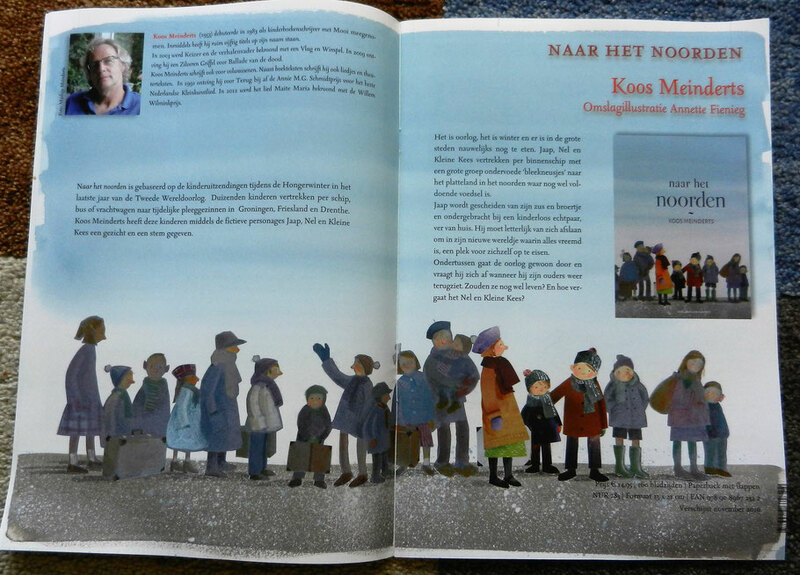 Today we received the fall-catalogue of Hoogland & van Klaveren publishers, with in it Koos Meinderts new children's book Naar het noorden, which translates as Going north. It is the beautiful story of children who during the war were sent away by their parents. They went to the northern provinces, where they still had enough food. I made the cover illustration, and am currently working on some more illustrations for the book.